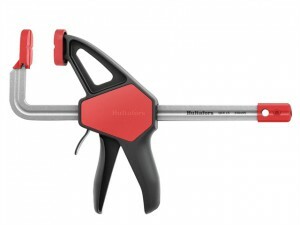 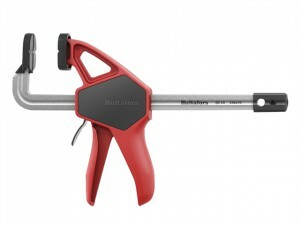 The Hultafors RC 58 Ratchet Clamp has the following specification: Clamping Capacity: 58mm.Throat Depth: 55mm.Weight: 200g. 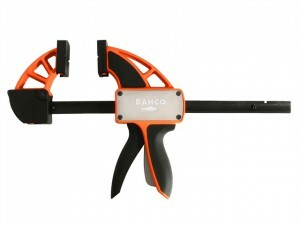 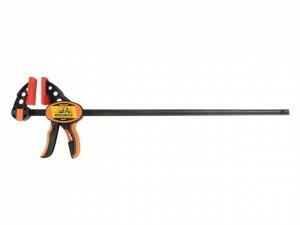 Clamping Capacity : 150mm (6in). 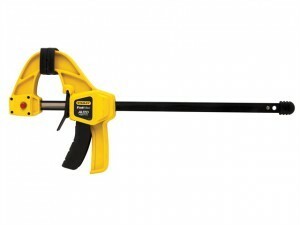 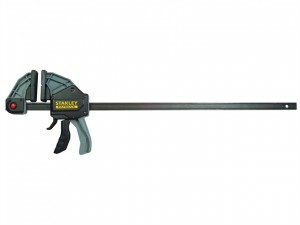 The Roughneck ROU38274 Heavy-Duty Ratchet Bar Clamp comes with the following:Capacity: 610mm (24 inch). 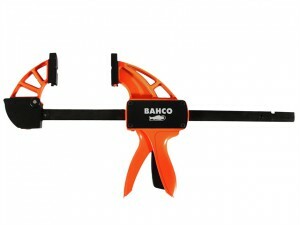 The Roughneck ROU38268 Heavy-Duty Ratchet Bar Clamp comes with the following:Capacity: 457mm (18 inch). 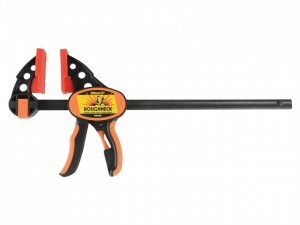 The Roughneck ROU38262 Heavy-Duty Ratchet Bar Clamp comes with the following:Capacity: 300mm (12 inch). 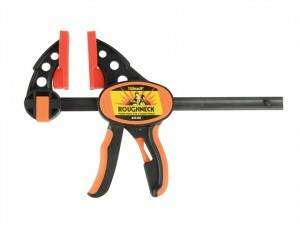 The Roughneck ROU38256 Heavy-Duty Ratchet Bar Clamp comes with the following:Capacity: 150mm (6 inch). 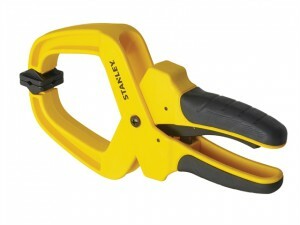 The Stanley Tools Hand Clamp has the following specifications: Press Capacity: 50mm.Jaw Depth: 55mm. 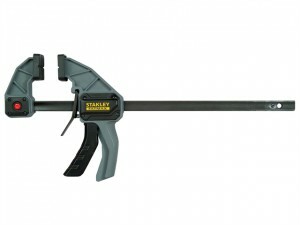 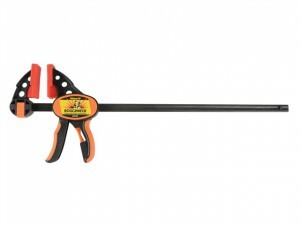 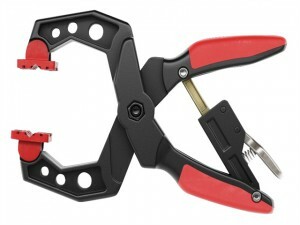 The Stanley Tools V XL Trigger Clamp has the following specification: Size: 900mm (36in).Clamping Force: 270kg.